My friendly little coffee beans, how I need your little stimulant kick in the morning to transform me from a bleary-eyed, disorientated grumpa-twit into something resembling a normal human being. This week has been one of those weeks, foot flat down on the gas and all out of juice. Only you have kept me trundling along. I am not alone. The UK are a population of coffee addicts. We get through a staggering 95 million cups of coffee a day. Worldwide, coffee is the second most tradable commodity after oil. Flippedy flip. Here’s a guide to what I found, a minefield simplified as best as I could filter (!) it. I tried to find credentials for reducing plastic waste and generally Earth and human damage limitation. This is for the local people in the tropical countries who grow the beans. They get a minimum and stable price for their produce, and money from the Fairtrade premiums help pay for community projects and covers ‘sustainable’ production methods. 34% of Fairtrade coffee is certified organic. Farms certified with this logo have to meet sustainable agriculture standards for biodiversity conservation (i.e. preserving some natural rainforest and not clearing it all to turn into big plantations only growing one type of plant), natural resource conservation (setting aside areas of forest reserves), improving the livelihood of the local humans producing the coffee beans, management plans to provide sustainability for the future. There are a handful of ‘ethical’ gourmet coffee companies who trade directly with growers, who don’t brand the Fairtrade or Rainforest Alliance logos. Cutting out many middle men means they often pay small holders more than what they would get under the ‘Fairtrade’ deal from a larger corporation. For example, Steampunk coffee and Has Bean coffee are gourmet coffee dealers that buy direct and pay a higher premium direct to the grower for higher quality all round. But you’d have to trust the ethics of the individual company here. Any supermarket bought packaging that doesn’t meet either of these might be mass produced on a big plantation that treats its workers poorly and contributes massively to deforestation. In central America alone, 2.5 million acres of forest have been cleared for high yield (low sustainability) coffee plantations. Ok, so that’s the background out of the way. Here’s the eco-drinky and unplasticky part. Pret use 100% organic beans but don’t meet either of the above certifications. Beans are bought in bulk, minimising packaging per cup so that’s good. (But if you use a disposable cup, it is bad bad bad because they are currently un-recycable and non biodegradable due to the plasticky lining in the paper cup, and are sending 7 million cups a day into landfill in just the UK). Noooooo. 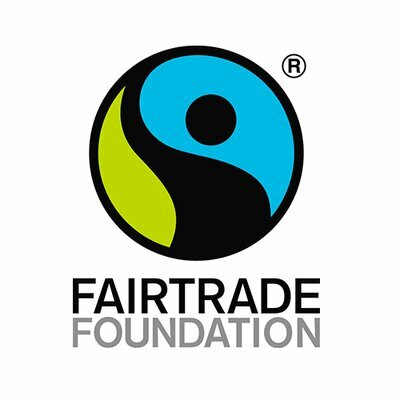 Fairtade: Grumpy Mule, Cafe Direct, Co-operative, Cool Earth Coffee, M&S, Waitrose, Sainsbury’s, Taylors, Percol – all deal in Fairtrade coffee but you’d have to check for the labels as some of these companies use Fairtrade for some of their products and not for others. Cheeky. Rainforest Alliance: Grumpy Mule, Lavazza, Lidl. Same rules apply as above about variation within brands. As most shop-bought ground coffee or beans come in non-recyclable, non biodegradable plastic packaging. NOOOOOOOOOOOOOOOO dammit! Some of the online gourmet bean companies like Has Bean say they will send the packaging for recycling if you return it to them. Some places have shops where you can bring your own container and buy beans or ground coffee loose. We don’t have anywhere locally, but will report back when and if I find it. Unlikely though, as I rarely have time to go out. Same story here. Coffee pods can be Fairtrade or Rainforest Alliance, same brands. Nespresso are rainforest alliance certified. CONS: The absolute scale of production and waste. All the energy and resources required to produce 6g coffee in 3g packaging. All the energy and resources required to recycle a complex mix of plastic and foil. 200 million capsules are bought each year in the UK. You could bet your house on the fact that there isn’t a 100% recycle rate, and those that end up in landfill will take 150 (aluminium) to 500 (plastic) years to break down. FML. On those stats alone, NOT GOOD. Most instant coffee comes in recyclable glass jars, with unfortunately plastic lids. Something for coffee snobs (like me!) to think about. (I just find it tastes a bit yuck, but that’s just me). So there you are, a whistle stop beginners guide to being a better coffee drinker. I’ve learnt a whole lot by writing this! Personally, we shall continue to use our wonderful bean-to-cup machine (that my husband bought as a birthday present to himself a few years ago). It whirrs away, doing its little coffee magic trick… beans in, amazing cuppa out. Then use the steamer for that yummy frothy milk on top. Delicious. No plastic cups, no pods. We buy our beans online in bulk to save on packaging but it’s not ideal as it’s tricky to recycle. I might try some of the brands in compostable packaging next time. And perhaps resolve to get out one day and find somewhere that sells beans loose. Wowzers. All this writing about coffee makes me want one right now. Next Unplasticky challenge: How easy was it to go zero plastic at a Gin Festival?